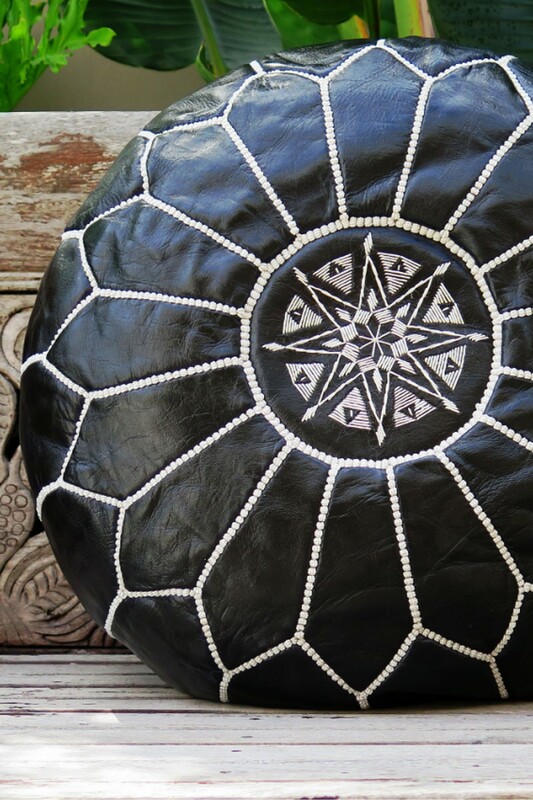 Stunning handmade leather pouffes from Morocco. 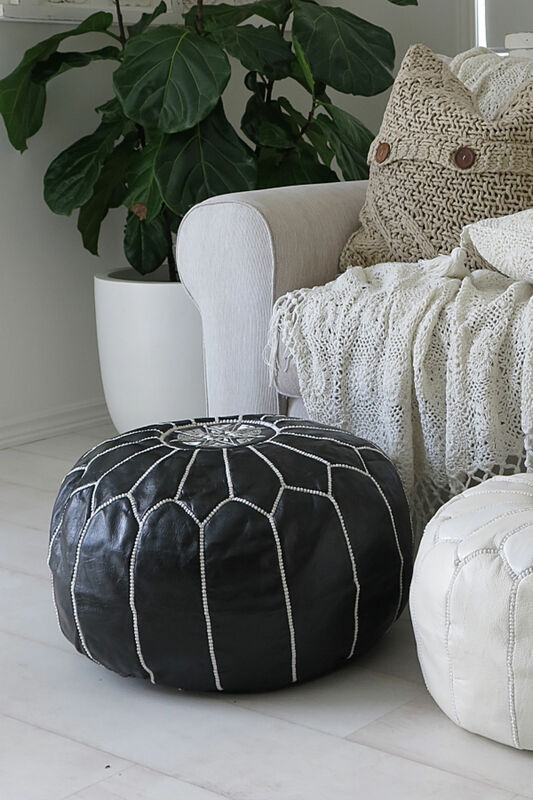 These pouffes are all made in the traditional ways of the Moroccan artisans. They are hand embroidered with silk thread which highlights the intricacy and detail of the moroccan design. All pouffes will be sent unfilled. They can be filled with bean bag beans, scrunched newspaper or we find it best to use shredded paper. 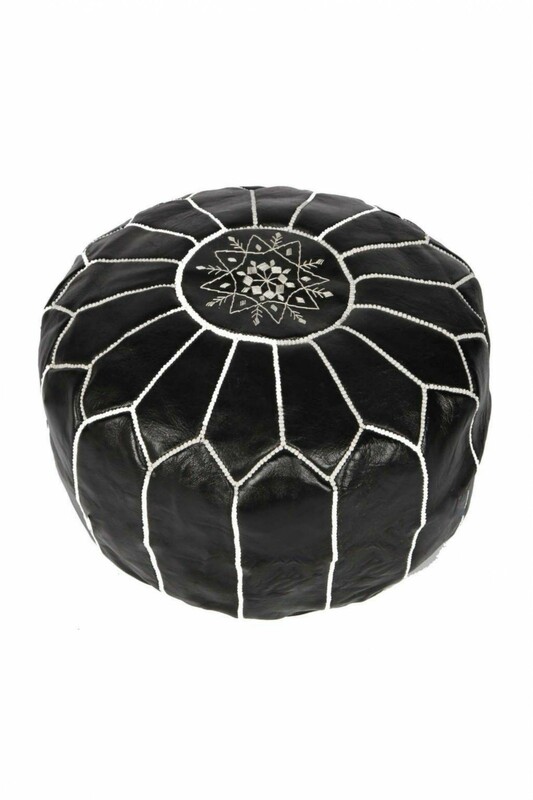 Please note: Due to the handmade nature of these Moroccan Pouffes each pouffe is unique and can have subtle variations in colour.